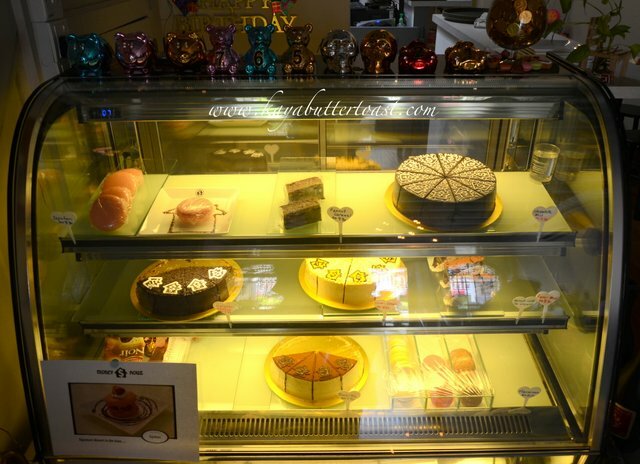 All the cakes are homemade and has a following because they use high quality ingredients and the cakes do not taste too sweet. They even decorated the cakes with their own logo. 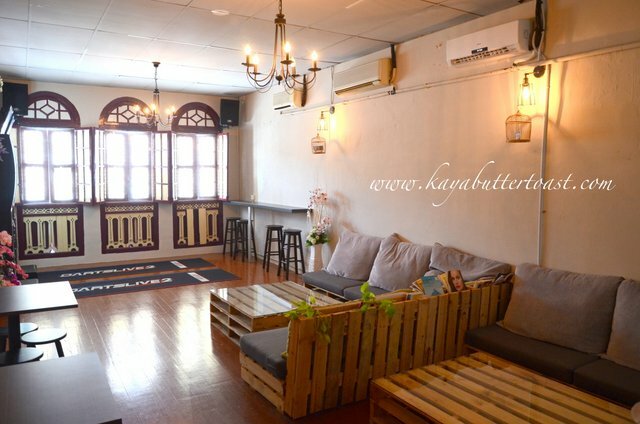 The bar and kitchen are at the back of the cafe. 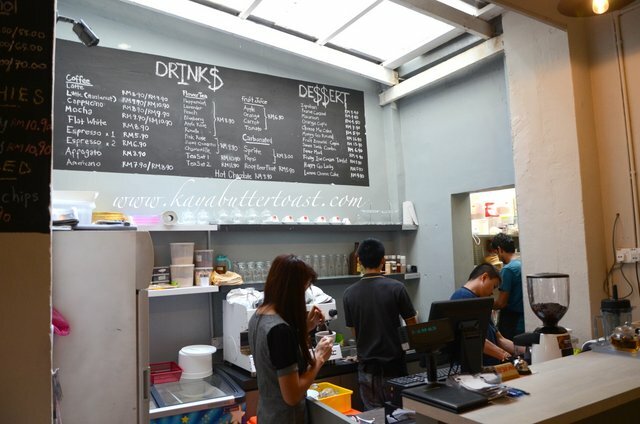 They serve main courses which Kaya will introduce later, coffees and drinks, desserts and alcohols too. 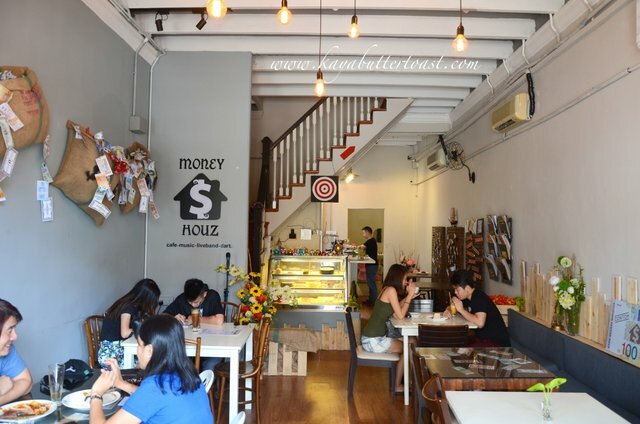 As what all cafe operators will face when they rent pre-war shophouses, space is an issue. Luckily, they have 2nd floor to compensate. 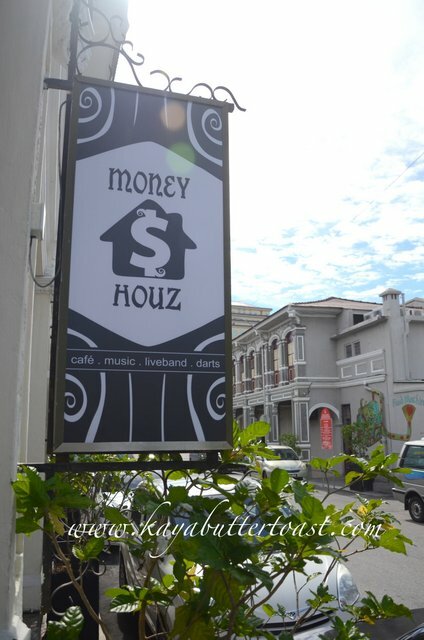 Money Houz has bigger space on their 2nd floor and they even have electronic dart games there. It is quieter and more spacious. One game is RM2. 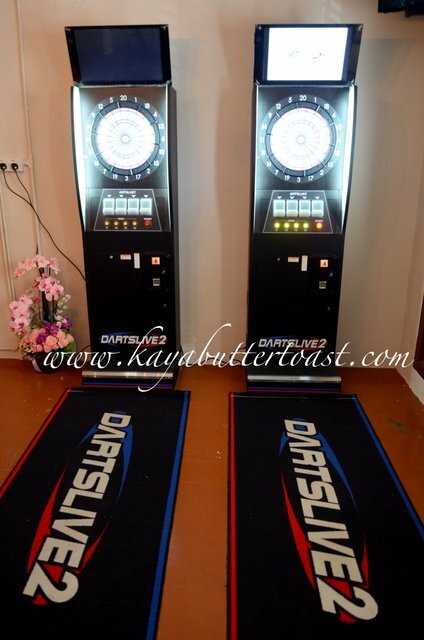 Although it lacks the original feel as it uses plastic tip darts, it is compensated by the electronic information and automatic calculation of points. The game feels almost like the real one. 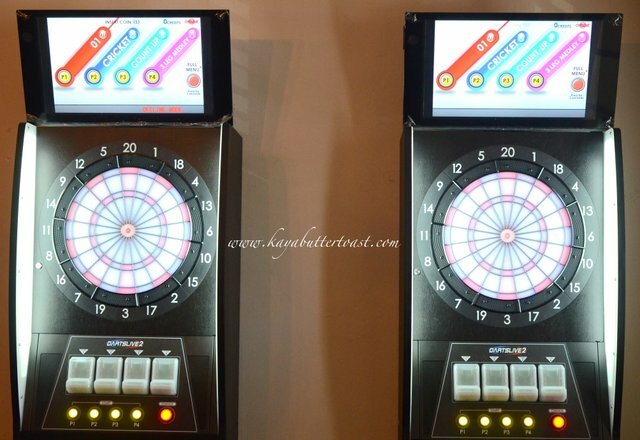 After you have thrown all your darts, you need go to the board and pull out all the darts and press the red button on the right to pass your turn to your opponent. 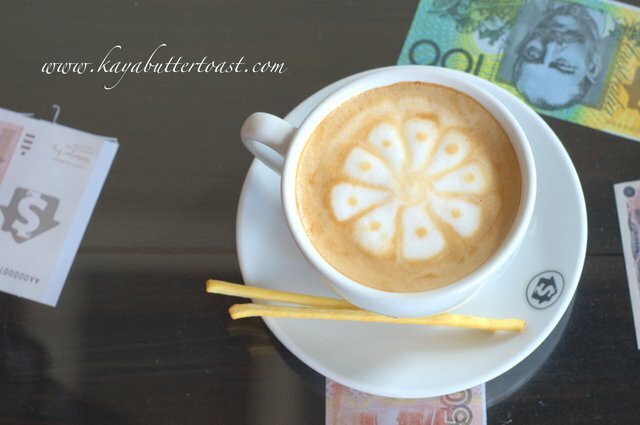 The cappuccino is decent and on par with the standard offerings. 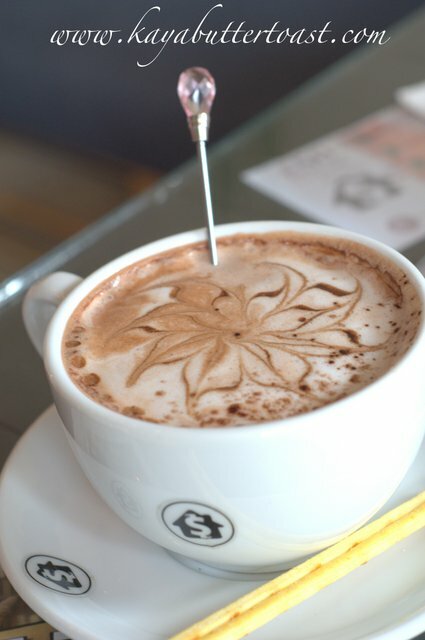 The coffee art is rather special and unique without the usual flowery arts. 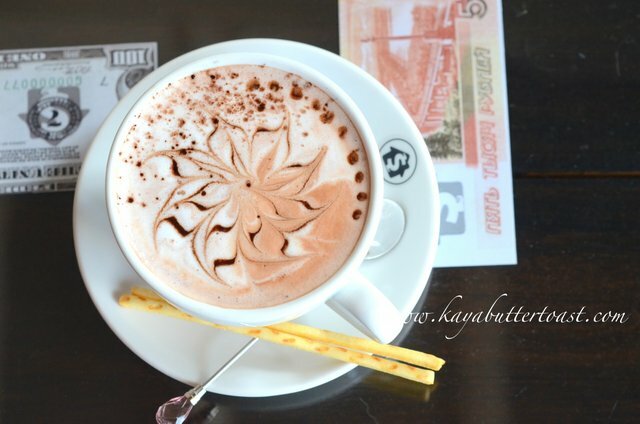 This is the highlight of their drinks, Kaya would say! The pink roses are specially imported from France. It is very fragrant and has health boosting effects such as improves insomnia, helps reduce stress and increases metabolism. For the 1st few sips, Kaya finds that it is rather bland and tasteless. It seems that our taste buds are very used to strong flavours and high level of sweetness to register any goodness of the tea. 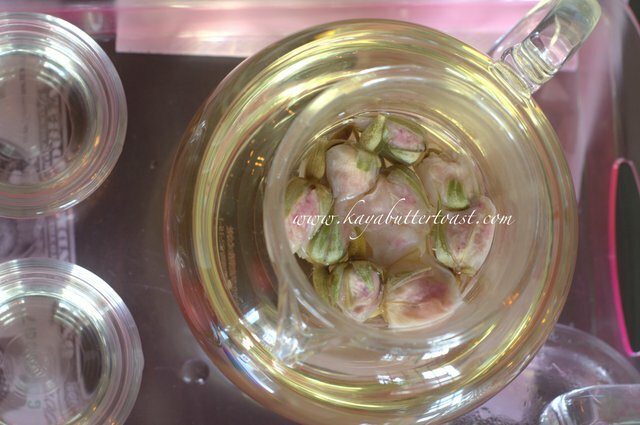 After consuming the main courses, Kaya start to feel the true taste of Pink Rose Flower Tea. 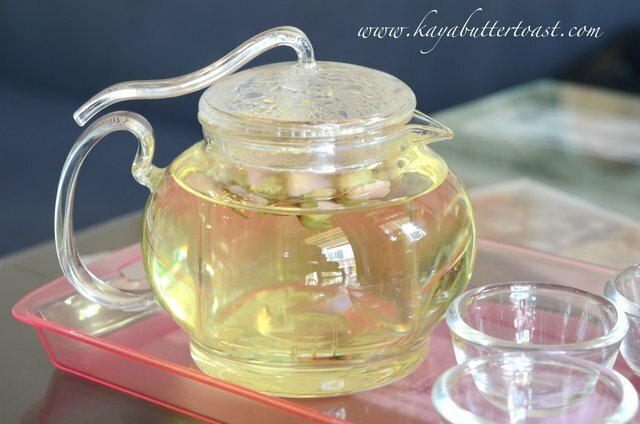 It is a little sweet, aromatic and soothing to sip. Kaya can’t stop to drink the tea after learning how to really appreciate this drink. Good stuff! 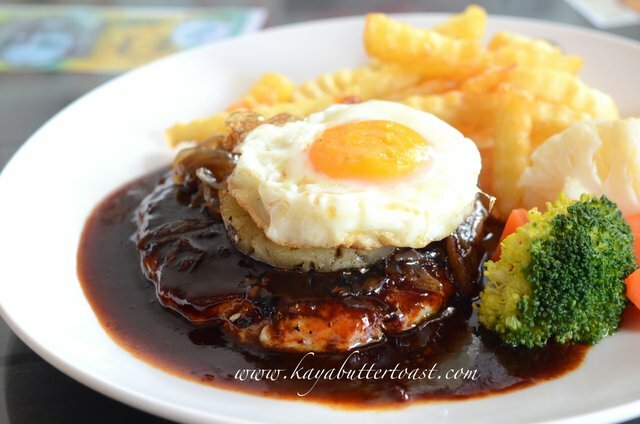 It is not the usual chicken chop but chicken patty. Hence, you will get a different tasting experience for this dish. The chicken is juicy, tender and succulent and has a very soft and smooth tasting experience (口感). Kaya prefers that they use a bigger pineapple slice to truly reflect the name of the dish. The BBQ sauce makes it impact as Kaya took his first bite. Very flavourful and memorable. After a while, the BBQ sauce may make you feel satiated (jelak). 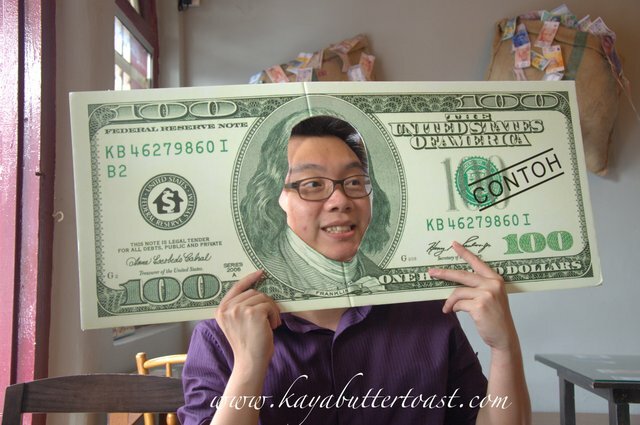 This is a great dish that you should not miss in Money Houz. 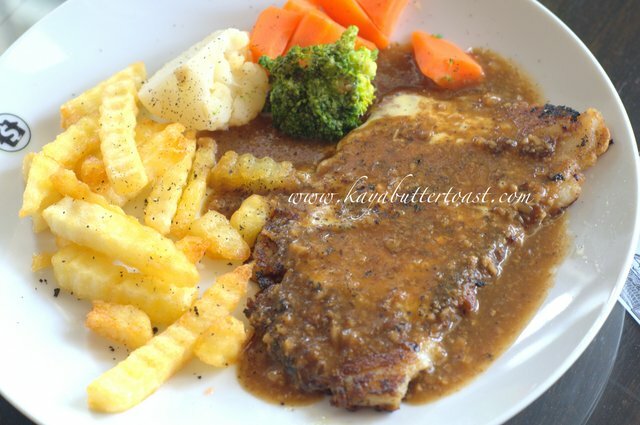 The combination of mushroom sauce, cheese and grilled fish is heavenly. Sweet, sour, fragrant and soft chewing experience. It will be perfect if they are able to reduce the number of burnt pieces as biting on the burnt areas will definitely make the tasting experience bad. That said, it is still something that Kaya will miss. 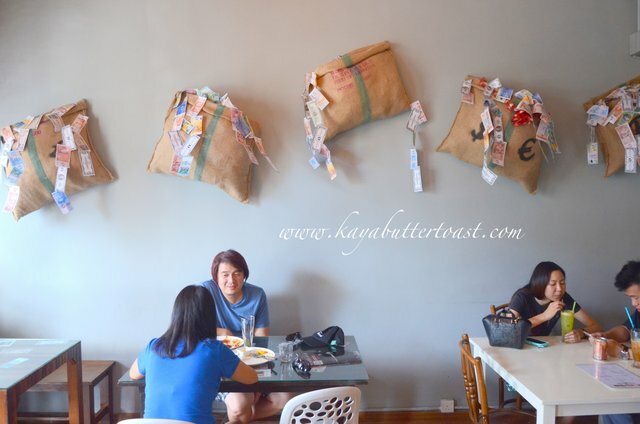 Oh ya, Kaya also hope that they will give more cheese or charge us a little bit more to have extra cheese to bring the cheese-lovers to cloud nine. Next, let’s move to their desserts. 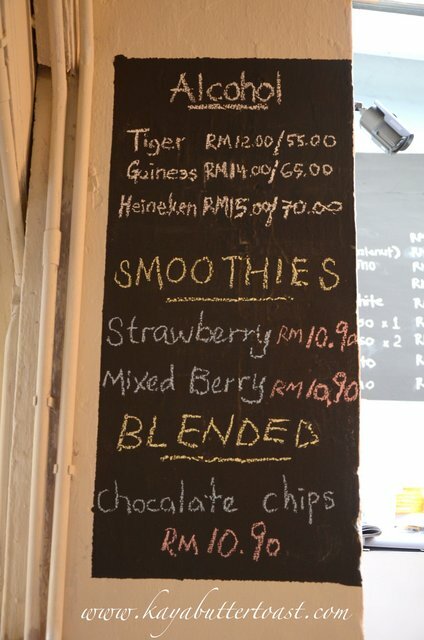 They emphasise on natural flavours and doesn’t like their desserts to be too sweet. All the desserts are homemade including the cakes. 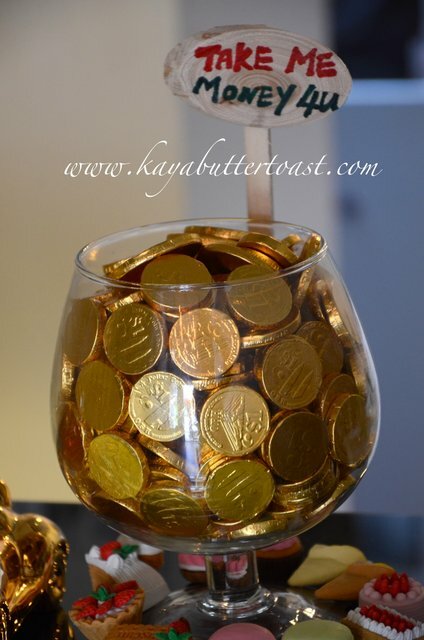 This is what Kaya will call as a light dessert. It is not heavy and makes you want for more. 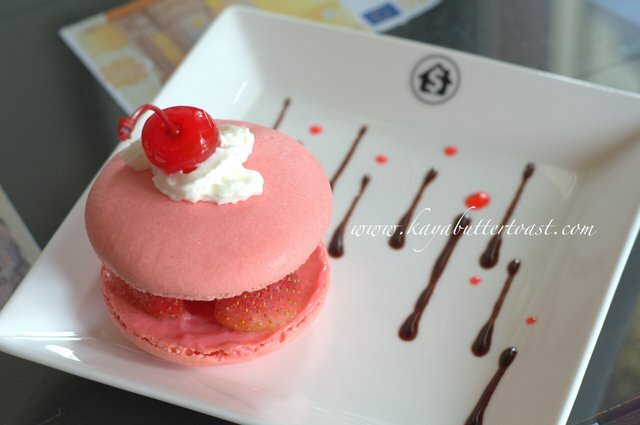 The dessert is made up with strawberries and lychee sandwiched by two giant macarons. 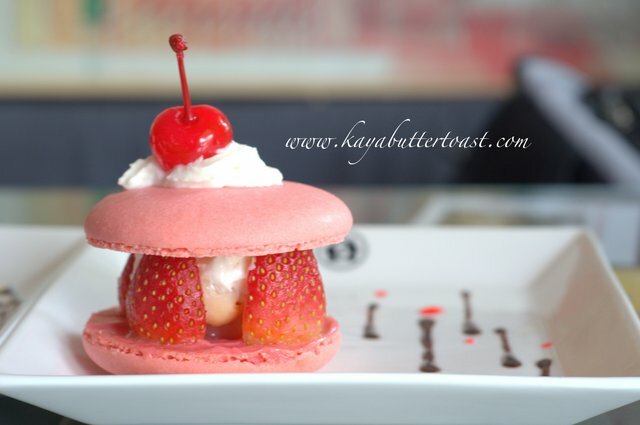 The combination of the sweetness, sourness and creaminess leaves you wanting for more. 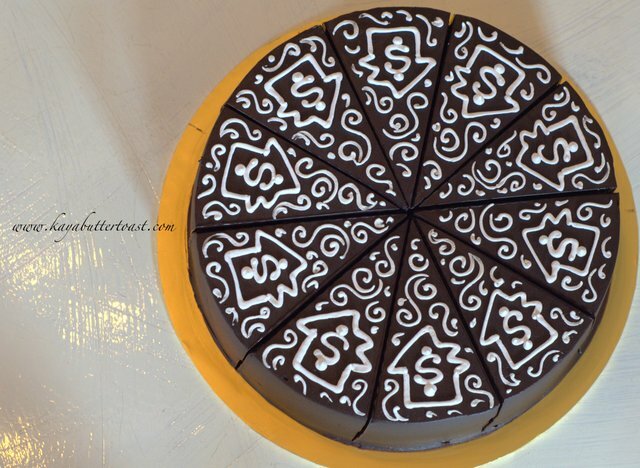 If you are a big fan of chocolate cake that is not too sweet yet rich with chocolate flavour, then you have found it here in Money Houz. 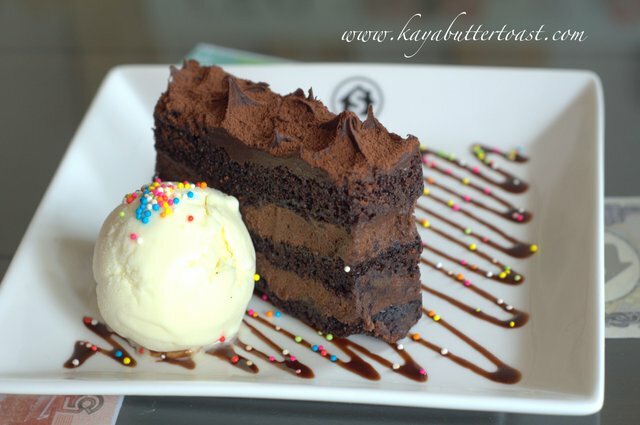 Some chocolate cake will make you satiated after a few bites but this does not make you feel so. It only makes you want for more. Good stuff! Remember to take it with vanilla ice cream to take the tasting experience to a new level. The bosses are so smart to incorporate such activity as they know that selfies and photography are the ‘in’ thing for many of their customers. 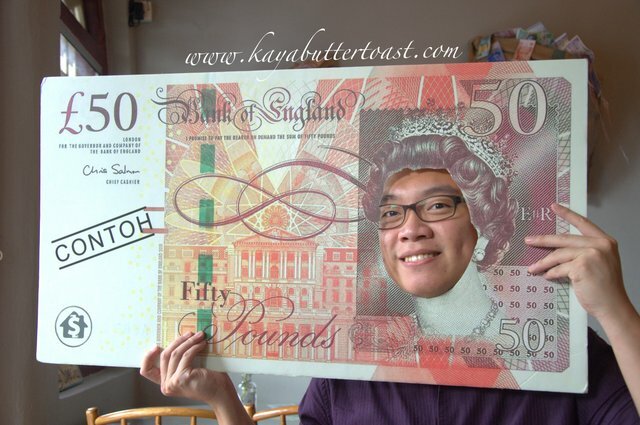 So, this is your chance to be ‘Agong’, ‘Queen’ and ‘President’. Does Kaya look stupid here? Haha! Next story Tasty Congee @ Noodle Wantun Soup 正斗粥面专家 @ Gurney Paragon Mall, Gurney Drive, Penang! 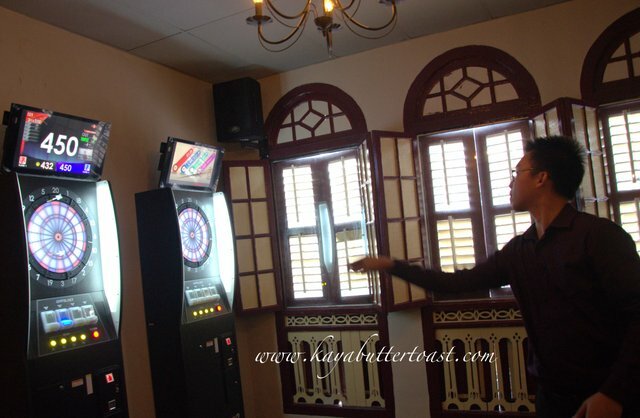 Previous story Kochabi Double Content @ Penang Times Square, Georgetown, Penang!